Trade « What Happened to the Portcullis? 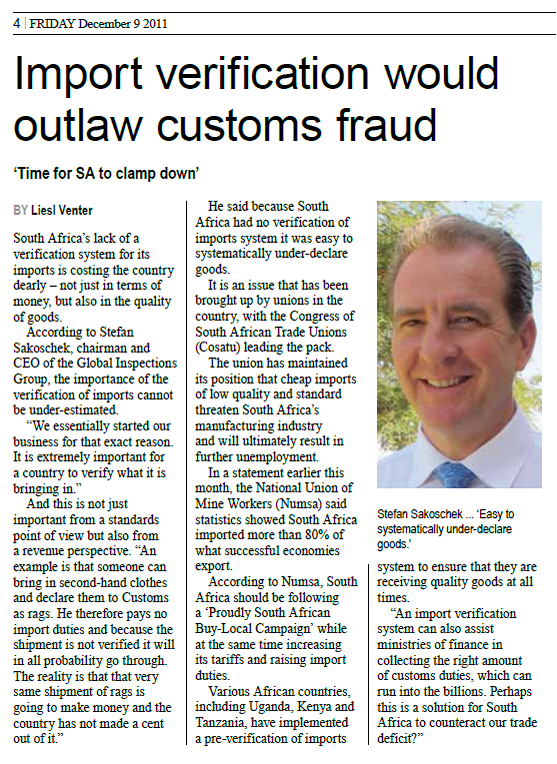 Law firm Shepstone and Wylie cautions traders to be well aware of the legal considerations to be taken into account when negotiating an international trade transaction. When importing or exporting goods, a trader is inclined to conclude a transaction on terms that place the least possible obligations on the trader concerned. Under the contract of sale, the main obligations are the effecting of payment on the part of the importer, and delivery of the agreed thing on the part of the exporter. The manner of delivery, passing of risk, obligation of insurance and carriage depend on the terms to which the parties have agreed. Sale agreements usually deal with the rights and obligations of the parties by reference to Incoterms. Devised and published by the International Chamber of Commerce, Incoterms are at the heart of world trade. Incoterms are standard trade definitions most commonly used in international sales contracts. The “E” & “F” terms are most onerous for the buyer. Such terms, however, allow the buyer to control the carriage and insurance and should reflect in a lower purchase price for the goods. The “C” and “D” terms are less onerous for the buyer, but result in a higher purchase price and the seller arranges the carriage, and in most instances, the insurance. While it is tempting to look for the least onerous incoterm, it may not always be a wise choice if it leaves the party exposed either under the other agreements, or due to consequence that were not considered. If the party has a good relationship with or a preference for a certain service provider, the party is able to obtain insurance or carriage services on terms and conditions more acceptable to it. A vital consideration when negotiating an international trade transaction access to legal redress if things go wrong (and they often do in trade). Obvious benefits under one agreement do not pose risks under another. 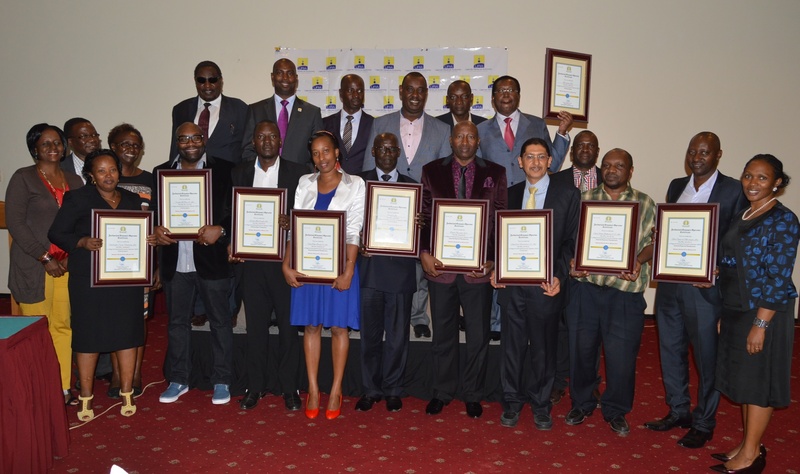 Thirteen compliant companies across East Africa were awarded Regional Authorized Economic Operator (AEO) certificates jointly by Partner States Commissioners of Customs and Director Customs, EAC at a ceremony held at Serena Kampala, Uganda on 24th July 2015. The Commissioner Customs, URA Mr. Dickson Kateshumbwa who represented the URA Commissioner General was the chief guest during the award ceremony. The Chief Guest observed that with the award of Regional AEO certificate, the project had now come of age and indeed puts EAC on the global map of being the first region to implement a regional AEO programme. The Director Customs, Mr. Kenneth Bagamuhunda congratulated the thirteen companies and remarked that the AEO programme will go a long way in supporting the SCT implementation and eventually spur the growth of intra and extra trade. The SCT Coordinators recited each company profile before all the commissioners and Director Customs awarded the Regional AEO certificate to each of the awardees. Thirteen companies, three of them Rwandan, last week signed a Memorandum of understanding with Rwanda Revenue Authority to be accorded preferential treatment when clearing their goods at customs. The Authorized Economic Operator (AEO) is a regional trade facilitation program recommended by the world customs organization to ease trade and customs clearance for tax compliant and prominent importers and exporters. Delay in clearing goods at customs is one of the major impediments to smooth trading within the East African Community (EAC). 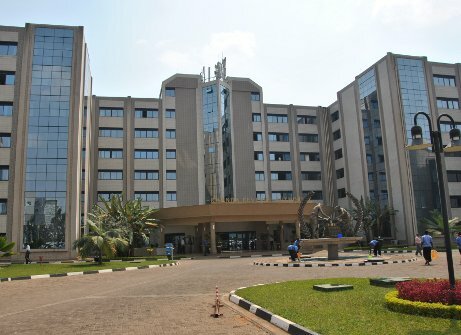 It also contributes to making the EAC region one of the most expensive places to do business despite being the second most growing economy in the world. The AEO creates some kind of obstacle-free zone where traders in the import or export business, known to be complaint with customs requirements, are accorded special treatment to ease the process of clearing their goods while in transit. The pilot project will see how the system works in reality and the beneficiaries have all been informed of their rights and which ports or borders to claim them from. Rwanda customs officials issue special identifiers to the beneficiaries to help them identify the benefiting traders once their goods appear at any of the designated custom points. These identifiers will be recognizable everywhere in the five partner states of the EAC where the beneficiaries will pass and claim their privileges as AEO. The growth of global trade and increasing security threats to the international movement of goods have forced customs administrations to shift their focus more and more to securing the international trade flow and away from the traditional task of collecting customs duties. A new database developed jointly by the United Nations Economic and Social Commission for Asia and the Pacific (ESCAP) and the World Bank has revealed that trade costs fall disproportionately on developing countries. This is despite the fact that the international economy has integrated considerably in recent decades. The bank explained that the new Trade Costs database uses an innovative method to estimate trade costs in agriculture and manufactured goods, opening new analytical possibilities for policymakers and researchers interested in trade integration. “According to the research, trade costs are influenced to varying degrees by distance and transport costs, tariff and non-tariff measures, and logistics. The new data, which cover the time period 1995-2010, stress the importance of supply chains and connectivity constraints in explaining the higher costs and lower levels of trade integration observed in developing countries. 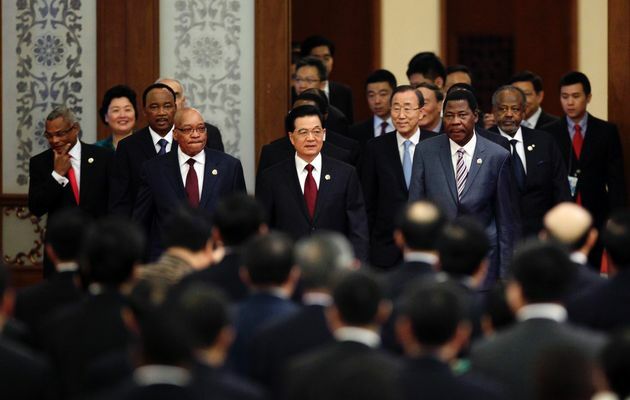 Africa – China’s Export Route to the U.S.? The Africa Growth and Opportunity Act intends to support African exports to US markets. It is helping savvy Chinese companies too. US-Africa trade received a boost with the signing of the African Growth and Opportunity Act (AGOA) back in May 2000, which enabled African countries to export over 4,000 products, including apparel, quota-free and duty-free to the US. Geared to support the integration of African countries into global markets, AGOA has enjoyed broad cross-party support in a usually fraught US legislature – especially on issues of foreign trade – and has been renewed several times. Helping Africa, it seems, is something everyone can agree on. But they might, unwittingly, have been helping China too. Research by Lorenzo Rotunno and colleagues at the Centre for the Study of African Economies, Oxford University, suggests that savvy Chinese companies have set up shop in Africa as a route to get their products into the US with all the AGOA benefits. The entrepreneurs’ logic is impeccable. Not only could an Africa platform get them duty free access to US markets, they could also avoid heavy quotas on China’s exports to the US, imposed through previous protectionist measures by the rich world, such as the Multi-Fiber Agreement. Because AGOA did not contain ‘rules of origin’ provisions, the door is wide open for such creative thinking. “Restrictive quotas on Chinese apparel exports in the US and preferential treatment for African exports resulted in quota-hopping transhipment from China to the US via AGOA countries” the researchers say. Chinese and Taiwanese producers are now said to comprise the bulk of a textile “diaspora” in Lesotho, Madagascar and Kenya. In one Kenyan processing zone, 80% of the 34 garment plants had Asian owners. While some outfits doubtless have in-country assembly – and therefore generate jobs and incomes for Africans – a number are little more than transporting docks for foreign-sourced, fully assembled goods ready to go to their final destination, tax free. Having spent the better part of the last fortnight amongst customs authorities and implementors of Single Window, I’m compelled to share with you a site (if you have not already been there) which attempts in a simple but comprehensive way to articulate the concept and principles of Trade Facilitation and its relationship and connotation with Single Window. The UNECE Trade Facilitation Implementation Guide should come as a welcomed resource, if not a companion, to trade facilitation practitioners and more specifically Customs Authorities wishing to embark on a trade facilitation approach. Of course it is a very useful reference for the many avid scholars on customs and trade matters across the global village. Of particular interest are the case studies – two of which feature African countries (Mozambique and Senegal) – providing a welcomed introduction of trade facilitation and Single Window on our continent. It is good to note that Single Window has less to do with technology and more to do with inter-governmental and trade relationships and an understanding of how these are meant to co-exist and support one another – Enjoy! Trade facilitation is emerging as an important factor for international trade and the economic development of countries. This is due to its impact on competitiveness and market integration and its increasing importance in attracting direct foreign investments. Over the last decade, it has gained prominence in the international political agenda as part of the ongoing WTO multilateral trade negotiations as well as of wide international technical assistance programs for developing and transition economies. Despite global automation and harmonisation of trade, customs operations and procedures, the following article exemplifies the continued need and importance of knowledgeable trade practitioners and customs specialists. Human intellect and ‘expertise’ will forever play a critical role in the interpretation international trade law and national customs procedure. Long used by governments to punish rogue countries, regimes, entities and individuals, trade and economic sanctions impact an ever-widening range of goods, technology and services. Recent developments in Iran, Syria and Libya, for example, resulted in far-reaching sanctions by Australia, Canada, the European Union and its 27 Member States, the United Nations, the United States and others. The complexity of sanctions and the speed with which governments implement them to address rapidly changing political situations create serious compliance challenges. Companies are therefore well advised to implement compliance from management through all levels of sales, logistics and finance. The stakes are extremely high because compliance failures—even unintentional ones—can result in the imposition of substantial fines, debarment from government contracts, damage to public reputation and even imprisonment. Recent penalties illustrate the risks and the high governmental enforcement priority for trade sanctions. These include fines of up to US$536 million imposed by US and UK regulators against financial institutions and major businesses. Individuals may also be subject to prison sentences of up to 10 years in the United States and the United Kingdom. Anyone involved in cross-border transactions therefore needs to determine if their conduct and that of persons acting on their behalf is regulated by trade sanctions. At a minimum, businesses must understand: which countries, regimes and individuals are targeted by trade sanctions; who is obliged to comply; which transactions are prohibited or restricted; and which authorisations may be available or required for any restricted action. Businesses should also consider the long reach of US and EU sanctions. US sanctions generally apply to “US persons” wherever they are located in the world and to anyone located in the United States. Similarly, EU sanctions apply to “EU persons” wherever they are located in the world and to anyone located in the European Union. Adding to the breadth of coverage, US rules prohibit “facilitation”, which means neither persons nor companies subject to the rules may support a transaction undertaken by another party, including a foreign affiliate, from which a US person would be prohibited from engaging in directly. EU rules likewise prohibit covered persons from infringing sanctions rules indirectly – so much for economic freedom! 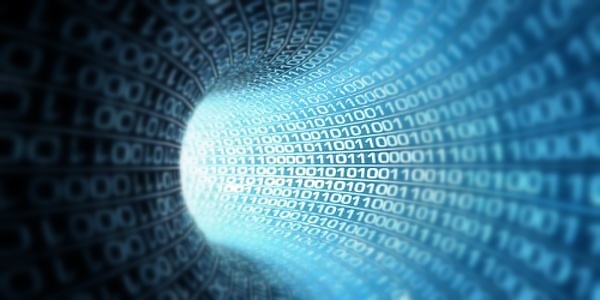 Require due diligence in connection with all transactions. This should involve at least the screening of all counterparties against the ever-changing sanctions lists that identify the countries, regimes, entities and persons blacklisted. Trade sanctions can apply to goods, technology licensing and the provision of technical assistance, and to ancillary services such as financing, insurance and transport. Establish internal procedures to ensure prompt legal review in the event a transaction with a sanctioned party is identified. Check that the due diligence checklist for merger or acquisition transactions includes an assessment for compliance with trade sanctions. Customs and logistics users will in particular find the featured survey of interest, if not important. International Logistics encompasses an array of essential activities — from transport, warehousing, cargo consolidation, and border clearance to in country distribution and payment systems, involving a variety of public and private agents. The Logistics Performance Index (LPI) and its indicators are a joint venture of the World Bank, logistics providers, and academic partners.The LPI is a comprehensive index created to help countries identify the challenges and opportunities they face in trade logistics performance. The 2010 LPI points to modest but positive trends in key areas such as customs, use of information technologies for trade, and investment in private services. The LPI is a multidimensional assessment of logistics performance, rated on a scale from one (worst) to five (best). 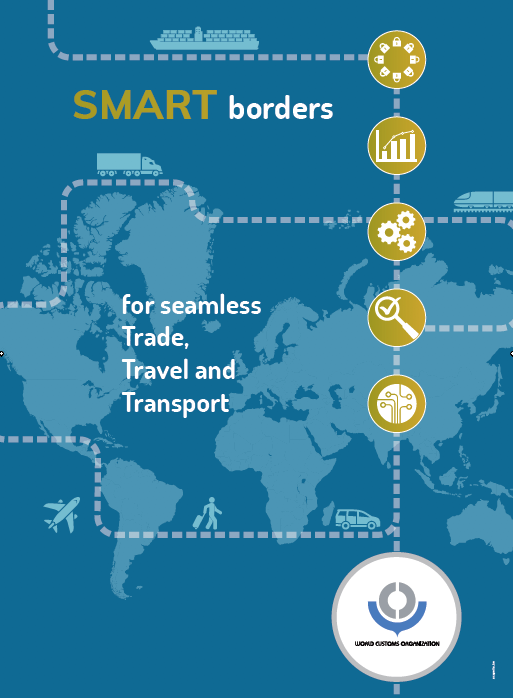 It uses more than 5,000 individual country assessments made by nearly 1,000 international freight forwarders to compare the trade logistics profiles of 155 countries. Germany and Singapore receive the highest ratings in the 2010 LPI with scores over 4.08. South Africa ranks 28th on the list with a score of 3.46, one position behind China (3.49), but 11 and 18 places better than Brazil (3.20) and India (3.12), respectively. Efficiency of the customs clearance process. Quality of trade and transport-related infrastructure. Ease of arranging competitively priced shipments. Competence and quality of logistics services. Frequency with which shipments reach the consignee within the scheduled or expected time. One of the features of the LPI includes indicators of border procedures is the time taken to complete trade transactions. Although this is a relatively small fraction of total import time, such time increases significantly when goods are physically inspected. Core customs procedures converge strongly across all performance groups, but physical inspection—and even multiple inspections of the same shipment by different agencies—are much more common in low performance countries. The report moreover suggests that border agencies other than Customs tend to constrain the clearance process and ultimately the costs imposed on the private sector.